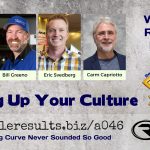 Building a strong business culture can be one of the hardest things a business owner can do yet the most rewarding. It is one of the key principles in the business that you cannot touch. It’s the soft stuff. For many, it is tough to get your hands around it. This academy panel does a great job explaining culture and shows you many ways to implement and lead it. The power of a strong business culture can be one of your biggest differentiators as a business and a strong reason you attract top talent. This panel’s perspective is meant to excite a dialogue, to present ideas and concepts to support your decision or to inspire you to take a stand; one way or the other. This topic is a worthy discussion because of the growth rate of e-commerce part availability, transparency in pricing, and ease of self-diagnosis on the internet. At risk can be your reputation based on the quality of part being installed. You own the cause of their concern. This panel has not gotten one new great customer from ever installing parts for walk-in customers. Become A Better Communicator By Learning The Power Of Observable Human Behavior. 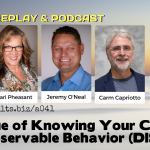 Kim Auernheimer, Shari Pheasant and Jeremy O’Neal bring their wealth of knowledge using the DISC profiles in their businesses. You need to understand that DISC is an evaluation of your four basic behaviors. There is a science element to our discussion but don’t let that get in the way of this very powerful communication tool. 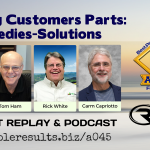 The value of knowing your DISC and how to discover your customers or co-workers behavior traits and then communicate in their basic way is the power of this lesson. Once you know them the world is your oyster because you can now start to converse with them in their language, not yours. When was the last time you actively recruited qualified candidates to fill your bench strength? 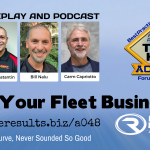 Kevin Vaught, Business Development Coach from Elite Worldwide, Ryan Blair from Blair Automotive and Robert Sexton from First Tire and Automotive bring their strategies, tactics and ideas to the discussion. We cover networking, building your pipeline of qualified candidates, and your people as recruiters. 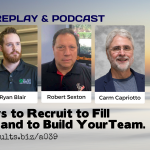 They all agree that recruiting is a long game that needs daily attention. You must invest the time.